If you are old enough, you may remember a commercial that had an ominous voice saying, “you’ve got…GINGIVITIS!” That was a scary thing when you were a kid, wasn’t it? As you have grown older, though, you have probably learned that gingivitis is just a scary-sounding term for gum disease. That is not to say that gum disease isn’t a serious issue. If left untreated, a build-up of plaque, infected gums or damaged gum tissue can infect the surrounding teeth and will require treatment. This is called aggressive periodontitis and can be a potentially deadly disease. But we aren’t talking about that, because we want to focus on your gums. First, you need to know what signs to look for to determine if you have gingivitis, then you can discuss the best course of treatment with your dentist. There are several symptoms of gum disease, some that you can see and some you have to just be aware of. Maybe you have noticed that you have a bad taste in your mouth or you have bad breath even when you haven’t eaten onions or garlic. Or maybe your gums are swollen or red and tender and bleed easily, especially when you are flossing—you are flossing for that essential deep cleaning, aren’t you? Have you noticed white spots on your gums or do your gums look like they are pulling away from your teeth? All of these are signs of various stages of periodontal disease. But why is it happening? The obvious answer to this is “poor dental hygiene,” such as allowing a build-up of plaque, but there could be other factors in play.It could be caused by diabetes or illnesses that affect the immune system. Certain medications can mess with your hormones and body chemistry which can be contributing factors. There might be a family history of gingivitis. Or maybe you are a smoker (you really should quit for multiple reasons). If any of these apply to you, you may have just found your cause. This will be important when it comes to finding the proper antibiotics to treat the disease. If you have noticed any of the above symptoms, even if you ensure good oral hygiene, your first move is to call your dentist or dental hygienist. Hopefully, they will have an available appointment for you. If you have to wait for awhile, don’t worry. 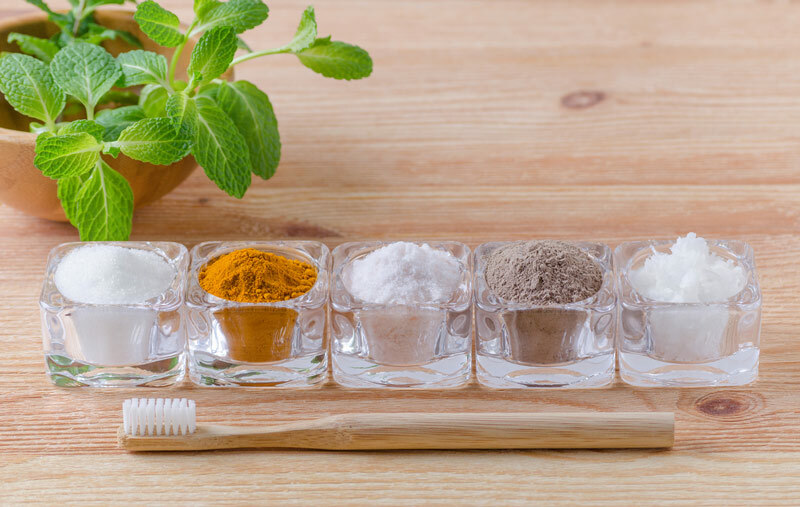 There are severalover the counter remedies that you can use until you can get an appointment to obtain an official diagnosis and a prescription from your dentist to check for periodontal disease or other sign of infection. Apply raw honey to your gums. Raw honey has actually been known to reduce bacteria, including the specific type that causes gum disease. It also has wound-healing properties that can soothe soreness or tenderness. Make a paste with salt (makes it hard for bacteria to survive), ground turmeric (antimicrobial and anti-inflammatory) and mustard oil (or vitamin E oil) and apply it twice a day. Yes, it sounds strange, but it is a combination that has been used for centuries in ancient cultures. Salt creates an inhospitable environment (think of the things that can’t survive in saltwater). That is one reason that rinsing with a warm saltwater solution (dissolve ½ tsp salt into 1 cup warm water) a couple of times a day can soothe your gums as well. Have you ever had a sunburn that felt better after applying Aloe Vera gel? Well, it can soothe your gums also, but make sure you get the gel that is for oral hygiene. Rinsing with Aloe Vera juice is another option. Lastly, medicinal herbal teas like ginger, cinnamon, or chamomile have soothing properties. So, make a cup of one of these, and sip slowly, letting the tea wash over your gums. If you want something nonprescription (but not a “natural” remedy like those listed above) there is a toothpaste that is often recommended. It is called triclosan and contains fluoride and an antibiotic (but not at a level that requires a prescription) that should reduce gingivitis. You can also use ibuprofen (Motrin/Advil) and/or acetaminophen (Tylenol) to alleviate pain and swelling. Once you can get in to see your dentist, they will be able to give you a prescription to aggressively treat your gingivitis. There are three main oral antibiotics prescribed by dentists to treat gingivitis. Each of them is topical, as oral antibiotics are generally not prescribed for gum disease. This is in the antimicrobial class of drugsand is used to decrease the amounts of bacteria in your mouth. It is found in mouthwash form and the exact dosage of the liquid will be prescribed based on how severe your case is. In some cases, it can take up to six weeks to see the full effects of this medicine. This is a tetracycline antibioticused to reduce bacteria. It usually comes in the form of a gel that can be squeezed into any gum pockets to reduce the size of the pocket and improve tooth-gum attachment. Another tetracycline antibiotic, this one comes in powder formand is also inserted in gum pockets. It is used to reduce the depth of the pocket. This antibiotic will be applied by the dentist in the office. 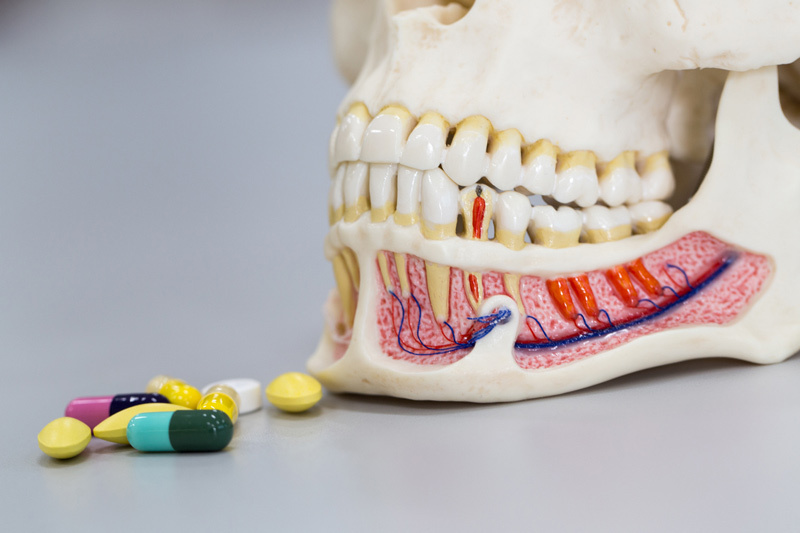 As with any antibiotic, make sure to ask your dentist about potential drug interactions with any prescriptions you are currently taking. This will allow the dentist to choose the best overall antibiotic for your situation. Untreated gingivitis will often lead to more serious dental problems. Fortunately, it is a disease that can be easily prevented with proper dental hygiene techniques, including brushing your teeth twice a day and flossing once a day. Avoid sugary foods or, at the very least, brush immediately after eating or drinking items with a heavy sugar content. Eat a healthy, well-balanced diet to keep your teeth strong. While daily maintenance is vital, it is also important to have professional cleanings at least twice a year. If you follow these steps, you can avoid gingivitis all together.